Along Portland's southeast waterfront lies a nondescript neighborhood filled with anonymous warehouses and industrial buildings. 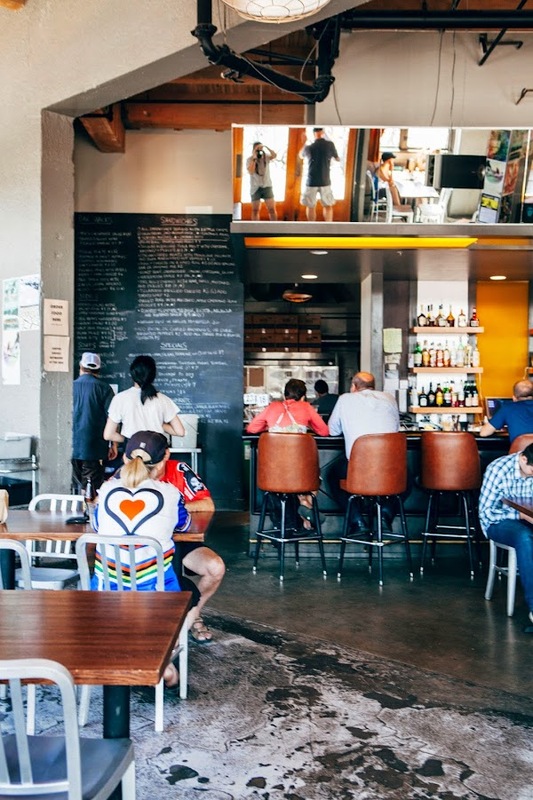 But Portlanders in the know have pegged this seemingly derelict area as the next up-and-coming foodie destination. 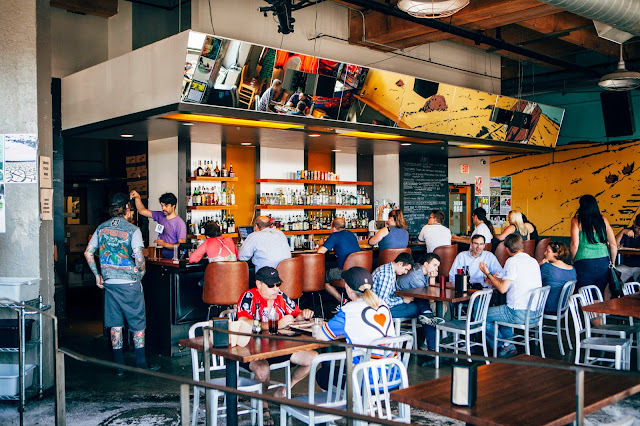 Because indeed, the neighborhood's main drag, SE Water Avenue, is dotted with some of the city's most beloved restaurants and coffee shops — Olympic Provisions, Clarklewis, Water Avenue Coffee, Coava Coffee, Boke Bowl and so on. In the heart of the strip is what I consider to be the hood's crowning jewel: Bunk Bar. 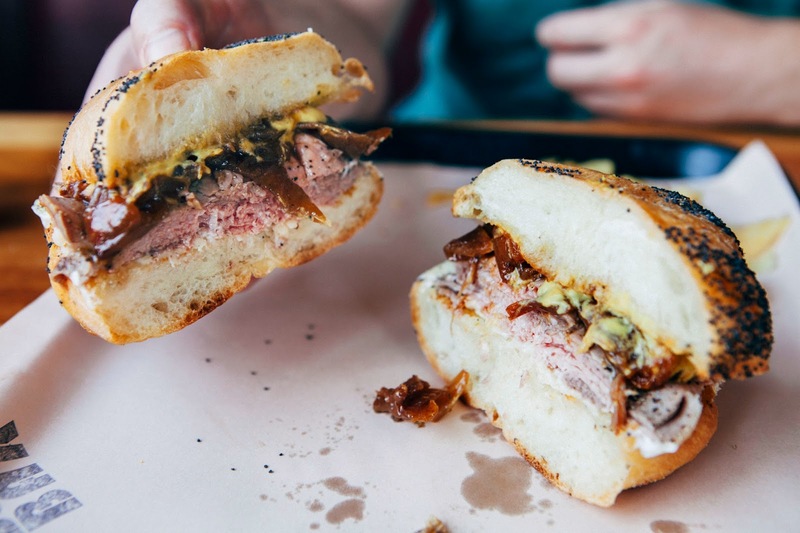 Bunk Bar is actually the second outpost of the very popular and successful Bunk Sandwiches, a cramped storefront only a few blocks away serving some of the meanest and tastiest sandwiches you'll ever eat. 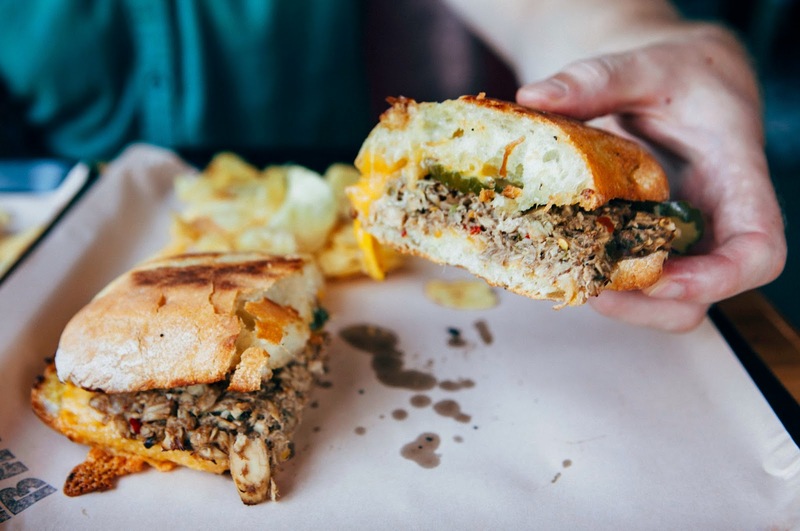 Bunk has been a local favorite for some time now, but after being featured in shows like the Food Network's Diners, Drive-Ins and Dives and Travel Channel's Best Sandwich in America, the humble sandwich shop was suddenly deluged with national fame and fanfare. Both were absolutely delicious. 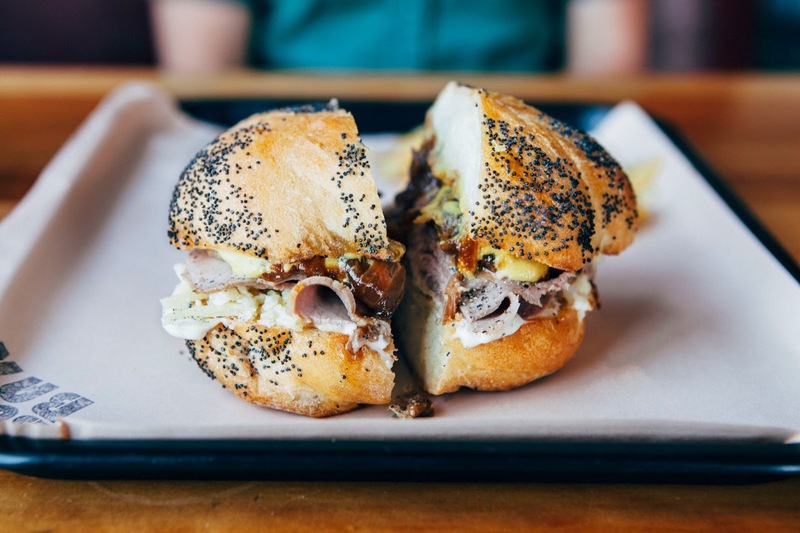 Salty, toasty, and buttery, these were not your typical roast beef and tuna sandwiches. All that fame and hype? Totally deserved. 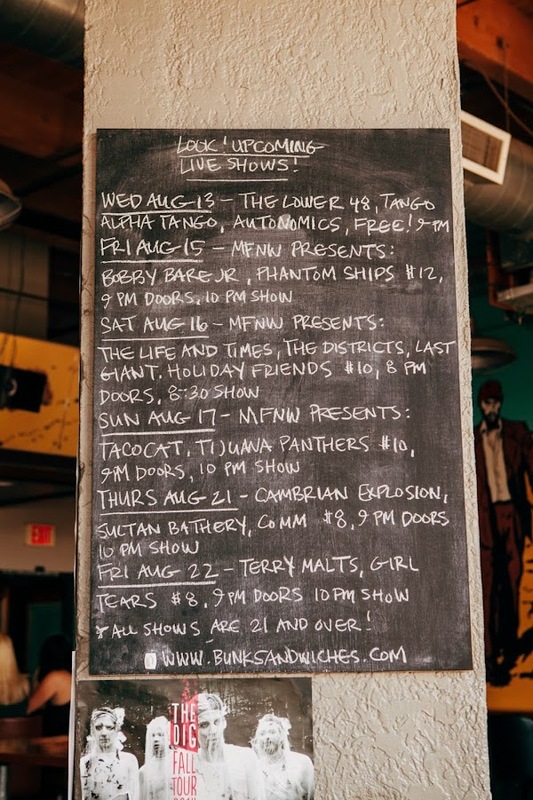 To see Bunk's full menu, check out their website. 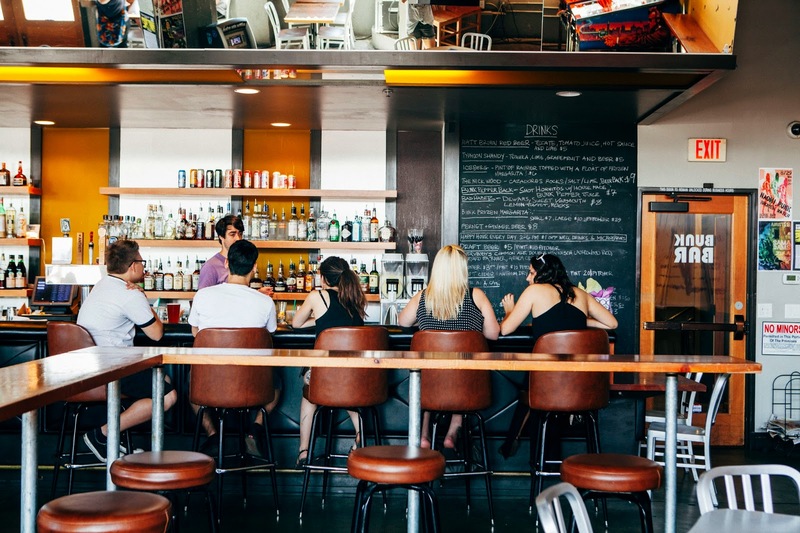 Currently, I believe they have 6 locations around Portland, in addition to a roving food truck that shows up outside of soccer games, flea markets, and more! Interested in how the Bunk guys do music? I loved this Eater article on Tommy Habetz and his musical preferences, complete with a Spotify playlist. Both Tommy Habetz and Nick Wood will be slinging sandwiches at Feast Portland's upcoming Sandwich Invitational on September 18th. Unlike the Night Market and Brunch Village, tickets are still available! I was talking to some organizers at Feast a few weeks ago, and they mentioned that the Sandwich Invitational was their favorite event and wasn't to be missed. It's my first time going this year, and you should too! And if you're feeling particularly wild, Bunk Bar will be hosting an afterparty on Saturday, September 20th, after Feast's high rolling High Comfort event. There will be free PBR, jello shots, sandwiches and something called Karaoke from Hell. Hm. I miss Portland every time I read these posts! Actually, I miss Portland all the time. I will have to check this out next time I'm home.